New Home Ready NOW! !Beautiful Villa! As you enter through your own private entrance, your eye is drawn straight through your Great Room pocket sliding doors to your screened in extended lanai. 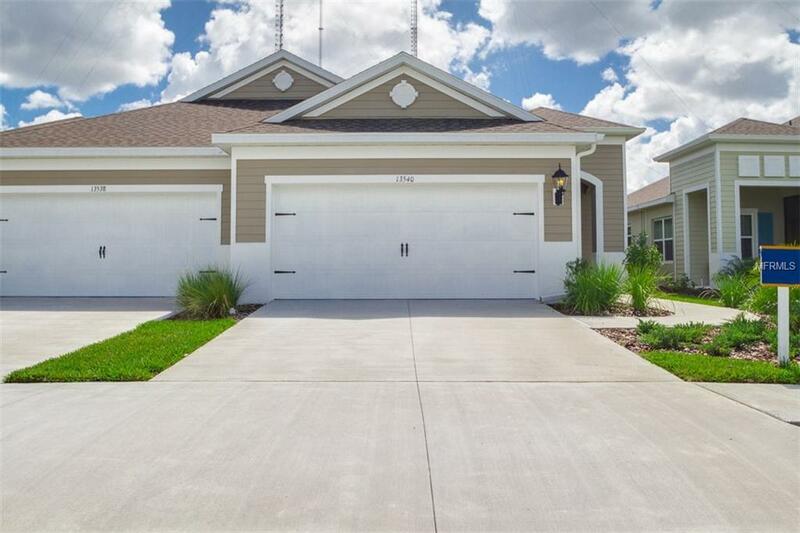 Nicely appointed kitchen with gorgeous Timberlake Cabinetry and Granite Countertops, Tile Backsplash, island, stainless appliances, gas range, refrigerator and washer/dryer. Ventura Plank Tile in all the common areas and carpet in bedrooms. Blinds are included along with 5 1/4" baseboards and coffered ceiling in Great Room!